It is spring! We had our first day back at the CSA where we volunteer. It was a wonderful, beautiful day! 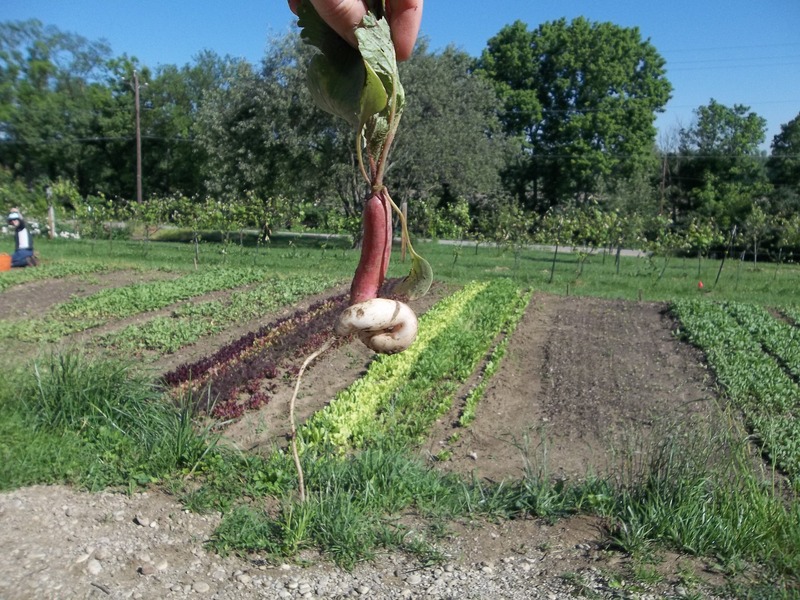 With the warm spring we have had, the farm has harvested quite a bit already and the garden plots are all very green. One of our favorite parts of going to the farm is the critters we get to see. Yesterday, we had the delight of seeing a low flying blue heron as well as a pair of bright orange orioles making a nest. As always, we were able to bring home some yummy food. I am excited to try my new dehydrator on the pile of chives I brought home. It’s always a great day on the farm and I know we will have many wonderful meals from the food we get to bring home. Most of the produce we froze last summer is gone. It’s time to use up the rest and make room for the summer bounty. I have also been taking classes at the farm on foraging and natural medicine. I have spent time reading and learning more about it on Frugally Sustainable and Common Sense Homesteading , as well. I’m looking forward to collecting the medicines God has provided, should we need them. Also this summer, I’m planning to try my hand at fermenting veggies. 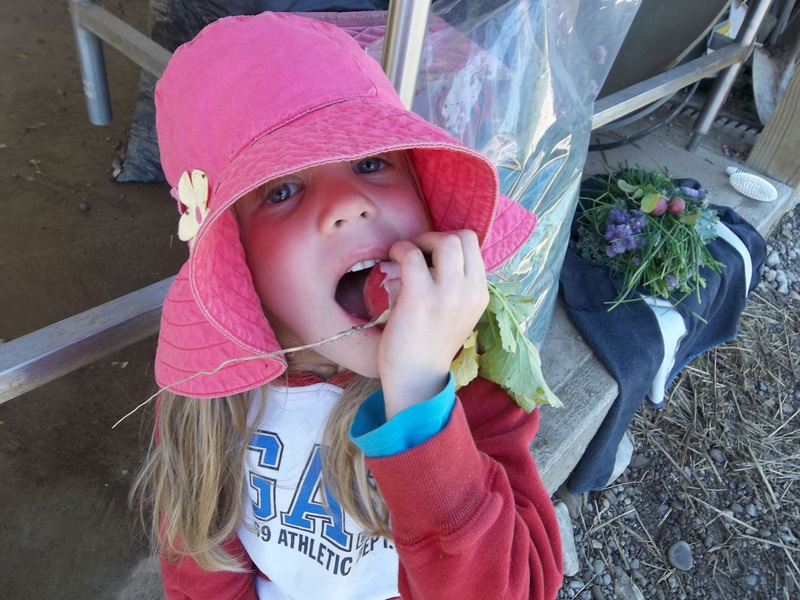 While pulling radishes (some of them a little curly), we found a few tiny stray red oak lettuce leaves and some lamb’s quarter to nibble. We each even had one sweet strawberry. Yum! Looks like there might be more of that sweet, delicious redness to come…. Real food is simple. It can be as simple as eating a giant radish you just pulled from the ground, but cooked meals are great, too. On that note, I have prepared another menu plan for you to check out. Please let me know what you think.